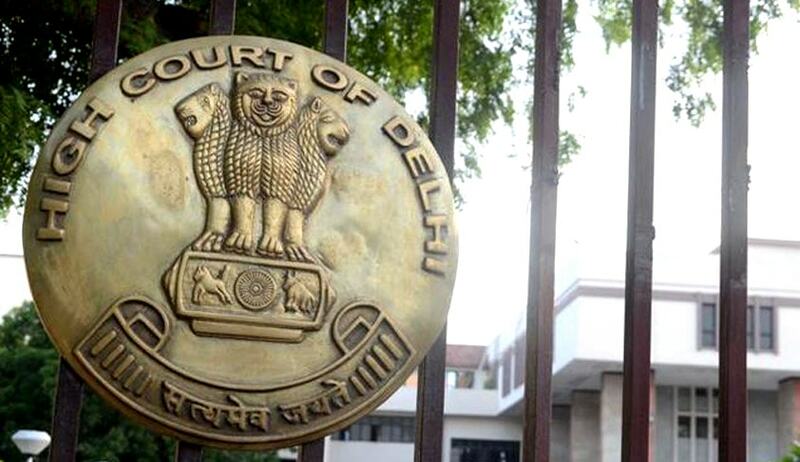 A Division Bench of Delhi High Court on Monday held that Parliament cannot change the terms of a treaty, by bringing in amendments in the domestic law. The Court was hearing an appeal challenging orders of the Income Tax Appellate Tribunal, which upset certain assessment orders. These Assessment orders had ruled that the income derived by the assessees through data transmission services was taxable as royalty under Section 9(1) (vi) of the Act as well as Article 12 of the relevant Double Tax Avoidance Agreements (DTAA). The assessees in the present case were Thailand based M/s Shin Satellite Public Co. Ltd. and Netherland based M/s New Skies Satellite B.V. They both derive income from the “lease of transponders” of their respective satellites. This lease is for the object of relaying signals of their customers; both resident and non-resident TV channels that wish to broadcast their programs for a particular audience situated in a particular part of the world. In the present cases, the assessees were chosen for the simple reason that the footprint of their satellites, i.e. the area over which the satellite can transmit its signal, includes India. They were sought to be taxed under Section 9(1) (vi) of the Act, which deals with income deemed to accrue or arise in India. Shin had opposed this and submitted that the income from the services it provided were business profits, which in the absence of a permanent establishment in India, are not subject to tax in India as per Article 7 of the Indo Thai DTAA. Further, it was submitted, that the relevant receipts did not partake the character of royalty. The ITAT had ruled in favor of the assesses, holding that while providing transmission services to its customers, the control of the satellite always remains with the satellite operator and the customers are only given access to the transponder capacity. The customer does not therefore use the satellite or the process of the satellite itself. Since that is the case, it opined that the payment cannot then be termed as royalty for the use of a process or equipment. In doing so, ITAT had relied on an earlier judgment of the Court in the case of Asia Satellite Communications Co. Ltd. V. Director of Income Tax, which had ruled that income from data transmission services would not qualify as royalty in order for it to be taxable under the Act. It had essentially held that the presence of control was a critical factor in adjudging whether there was “use” of a particular process, as required under Section 9(1) (vi) of the Act. However, the Revenue now relied on the inclusion of Explanations 4-6 to Section 9(1) (vi) by the Finance Act, 2012, which necessarily had the effect of undoing the ruling in Asia Satellite. The question before the High Court was whether in an attempt to interpret the two definitions of royalty uniformly, i.e. the definition under the Act and under the DTAA, the amendments will have to be read into the treaty as well. The Court answered the question in negative. Under Article 12 of the Double Tax Avoidance Agreements, the general rule stated that whereas the State of Residence shall have the primary right to tax royalties, the Source State shall concurrently have the right to tax the income, to the extent of 15% of the total income. Before the amendment brought about by the Finance Act of 2012, the definition of royalty under the Act and the DTAAs were treated as pari materia. The Court referred to the Vienna Convention on the Law of Treaties, 1969, Article 39 of which provides that a treaty may be amended by agreement between the parties. It thereafter was of the view that no amendment to the Act, whether retrospective or prospective can be read in a manner so as to extend in operation to the terms of an international treaty. “In other words, a clarifactory or declaratory amendment, much less one which may seek to overcome an unwelcome judicial interpretation of law, cannot be allowed to have the same retroactive effect on an international instrument effected between two sovereign states prior to such amendment. In the context of international law, while not every attempt to subvert the obligations under the treaty is a breach, it is nevertheless a failure to give effect to the intended trajectory of the treaty. Employing interpretive amendments in domestic law as a means to imply contoured effects in the enforcement of treaties is one such attempt, which falls just short of a breach, but is nevertheless, in the opinion of this Court, indefensible,” the Court observed.